Ah, the dreaded production problems have made Chapter Three a few weeks late, and out of a sense of guilt, I wanted to share at least a few pages with you… so… click the link below to read the first 10 pages for free! 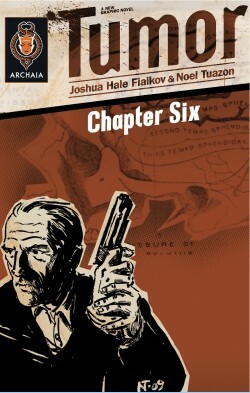 The rest of the chapter will be available on Amazon.com in the next few days. More content here to go along with it in the next few days, including a casual conversation with the book’s editor, Rob Levin.